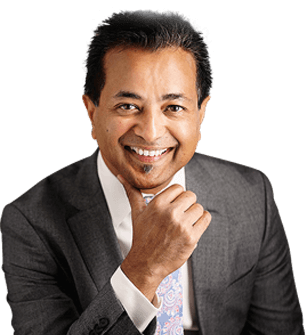 This involves injecting a medical grade irritant (sclerosant) into the lumen of the varicose vein. This in turn causes inflammation of the varicose vein which subsequently scar up. The procedure is performed with the help of an ultrasound machine which allows to visualize the non-functioning veins. A needle is carefully introduced into the vein and the ultrasound allows to target specific veins for the treatment. 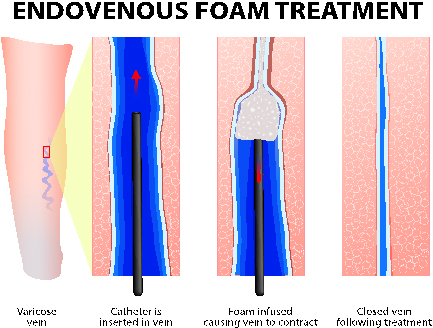 A foam is created by mixing the medical grade irritant (sclerosant) with air which can then be easily seen under ultrasound. The foam spreads through the dysfunctional veins and causes inflammation and scarring of the veins. You will require multiple injections under local anaesthetic to complete this treatment and often may require 2- 3 visits to the clinic. This is an effective treatment option for varicose veins. This procedure helps to remove fine superficial veins from under the skin. This is a cosmetic procedure focused at treating spider veins which may be a cosmetic concern. The medical grade irritant is injected into the lumen of the vein using a very fine needle and can be performed without the need for an anaesthetic.